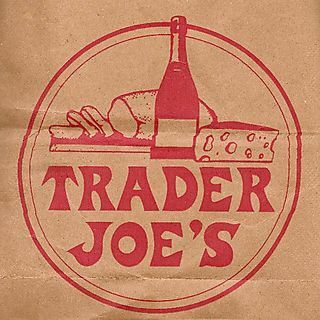 #smallchickbigdeals Top 5 Reasons why you should go to Trader Joe’s! I did my Cinco de Mayo grocery shopping yesterday and had to decide whether i should go to Trader Joe’s, Wal-Mart, Aldi, or Stop & Shop. After deliberating for a few minutes I decided on Trader Joe’s because I know they have pretty good deals and good quality food, but I was a little apprehensive since it was my first time getting beef and I was worried it might’ve been out of my budget, but I was wrong. There are plenty of a Trader Joe’s locations on the East Coast so I recommend you stop by sometime. There are way to many reasons why I love Trader Joe’s so I’ve decided to narrow it down to a top 5. 1. It’s economically friendly: I spent less than 20 dollars yesterday and got juice, ground beef, taco seasoning, 2 apples, and 2 kiwis. In other words, they have great deals and there prices won’t break your wallet. 2. The food is great quality: I’ve never had anything I’ve been disappointed with at Trader Joe’s. Not only is most of there food healthy but its delicious. They also have some great frozen meals in their freezer section. 3. SAMPLES!!! : If you come in hungry, don’t worry they have samples!!! They usually have a frozen entree (thats cooked) to sample along with a desert and they always have small cups of coffee available to drink while you get your groceries. 4. Amazing Customer Service: I was in awe when I saw they sold ground beef by the pound so I asked someone who worked there if the price I saw was really the price. They kindly said yes and was eager to answer my questions. 5. Two Buck Chuck: Unfortunately the location I went to did not have alcohol. But some locations have wine and beer. Trader Joe’s is known for its “2 buck chuck” aka 2 buck wine! Now what can be better than that? I’ve had it before and it tastes great! Hope you stop by a Trader Joe’s next time you see one nearby! This entry was posted in Uncategorized by smallchickbigdeals. Bookmark the permalink.